We here at Life 103.1 are considering expanding our staff. We’re looking for people who appreciate a challenging fast-paced professional environment and those who would like to join a broadcast team fully dedicated to serving its listeners and business clients. If you’re interested in a full-time or part-time advertising sales position or in part-time administrative work, we invite you to send us your resume and a statement of your interest. You can send them to jobs@life1031.com. 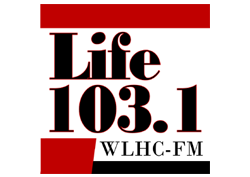 That’s jobs@life1031.com.